Matt has over 28 years of experience with shutters and window coverings. He will personally work with you on the best solution to make your home beautiful. "I will work with you every step of the way to make sure you are 100% satisfied with the product and service. If I wouldn't put it in my own home, I wouldn't recommend it to you." Matt has been covering all types of windows in the Dallas area for over 29 years. He graduated from the University of Nebraska in 1980, and worked in several different industries like lighting, shipping, and construction until finding his place in window coverings here in Dallas. Matt started his career at Murphree Shutters in 1989 at a time when there were only a few reputable shutter companies in DFW. Within a year, Matt became Murphree's manager, where he was responsible for coordinating the installation and completion of all shutter jobs. After managing Murphree for 4 years, Matt began working as a manager at Advantage Shutters in Forney, where he assumed a larger role. Here, Matt effectively worked with a higher volume of customers, coordinated with numerous designers, and stayed ahead of local competition while growing Advantage's annual sales from about $400k to $1.2 million in the early 90's. After his tenure with Advantage, Matt decided to start his own business. He capitalized on the valuable experience he gained working on window coverings, collaborating with manufacturers and designers, and installing to provide his own full-service window covering company that's with you from start to finish. 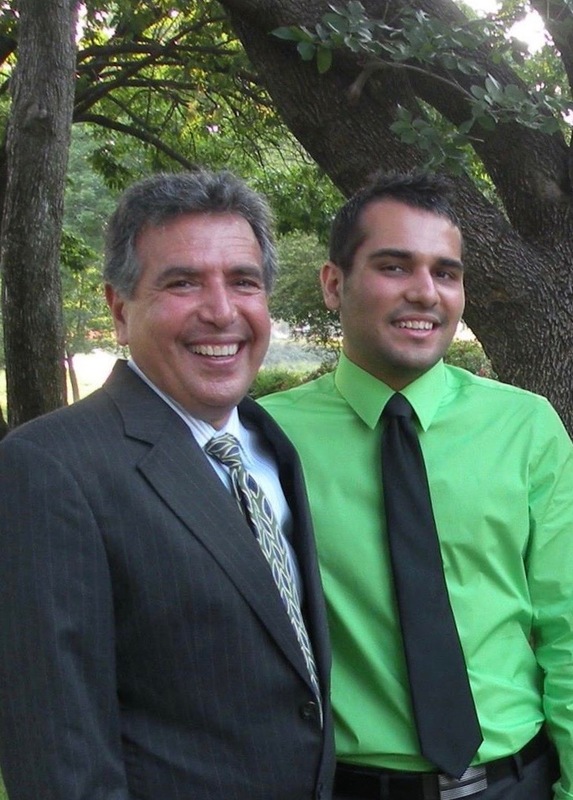 In 2011, Matt’s son, Ali began helping out and assumed a full-time role soon after. Ali graduated from the University of Texas at Dallas in 2013 and helped market and grow his dad’s business into one of the top window treatment companies of Dallas. He takes great pride in carrying on his dad’s legacy and propelling the business into the future. Matt and Ali form a truly dynamic father-son duo. Matt and Ali are passionate about working with clients to truly transform their homes into masterpieces. They make it a top priority to treat every single client as family while embracing an honest and straightforward approach to make a home unmistakably beautiful. They provide only the highest quality products matched with the finest service. Personalized service combines with more than 28 years of expertise to provide you with the easiest and most pleasant home improvement experience. Doing things the right way, that's Matt's way. Please feel free to contact us with any questions you have. Whether you'd like new window coverings or need to have something repaired, we're here to help. We will be more than happy to respond to your inquiries, as well as provide estimates based on window sizes or repair type. This info is solely used for contacting you and is not shared with anyone. We look forward to serving you. Please note that this address is a home office, not a storefront. We are a mobile service-area business so we travel to you! You are more than welcome to drop off your shutter or blind here for repair though. For a full gallery of our past work, please visit the Matt's Shutters Facebook page: facebook.com/mattsshutters. This page is updated every few weeks with new pictures of recent jobs! We are a full service window treatment company that's with you from start to finish. Consultation, estimates, exact measurements, ordering, delivering, installing, and follow-up is all included. For the best home improvement experience in Dallas, Plano, Frisco, McKinney, Allen, Prosper, The Colony, Lewisville, Highland Park, Richardson, Carrollton, and beyond, look no further than Matt's Shutters & More. © 2019 Matt's Shutters & More. All rights reserved.